A concert-film by Pavel Borodin featuring the Peter Brötzmann Chicago Tentet benefit concert at the Music Unlimited festival in Wels 2011. Guests: Toshinori Kondo, Michiyo Yagi, Yoshihide Otomo and Akira SakataIt was a special wish of the curator of the 2011 Music Unlimited Festival (Wels, Austria), Peter Brötzmann, to organize a charity concert in aid of the Fukushima nuclear disaster recovery effort. 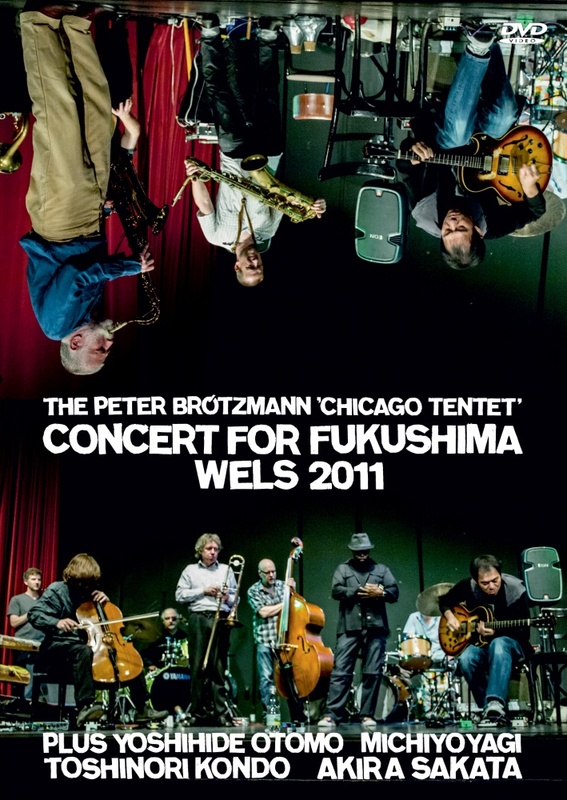 For that purpose, the Chicago Tentet, one of Brötzmann's main bands since 15 years, invited four leading Japanese musicians to play with them for one set of approximately 25 minutes each. And it turned out to be a highlight of the festival that certainly was not short of highlights. Half of the proceeds raised from this benefit concert were donated to the Japanese organization "Save Takata", which is implementing restoration activities centred around the city of Rikuzentakata, The other half went to "Project Fukushima! ", a multi-faceted long-term project launched, among others, by Yoshihide Otomo. Shot on November 6, 2011 at Stadttheater, Wels, Austriaco-release with PanRec.